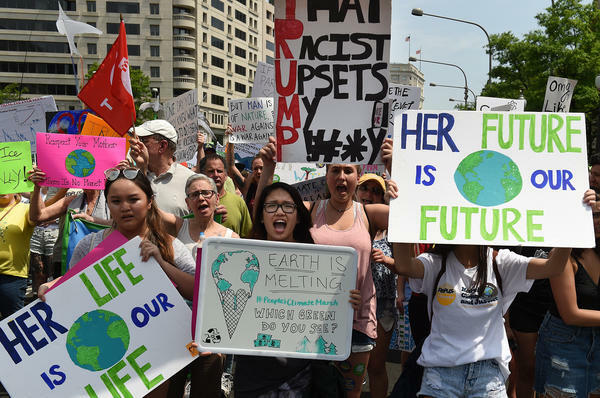 People march from the U.S. Capitol to the White House for the People's Climate Movement to protest President Donald Trump's environmental policies in April 2017. But what does action on climate change look like in 2019? With guest host Indira Lakshmanan.